Grasshopper Leisure are now offering mirror assemblies with both electric and manual options. All mirrors come with an indicator, with some models offering heated mirrors, complete with integrated temperature sensor. All of the mirrors that we offer are E marked and come with a standard 1 year warranty. 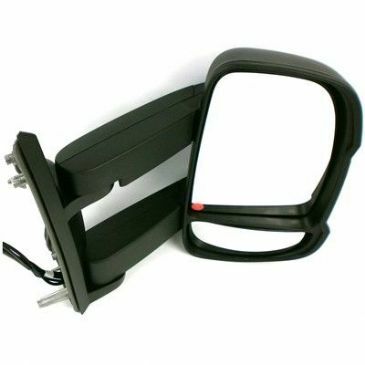 Fiat Ducato, Peugeot Boxer, Citroen Jumper Left Hand (nearside) replacement Short Arm mirror assembly that is electric, heated, complete with indicator (5W). 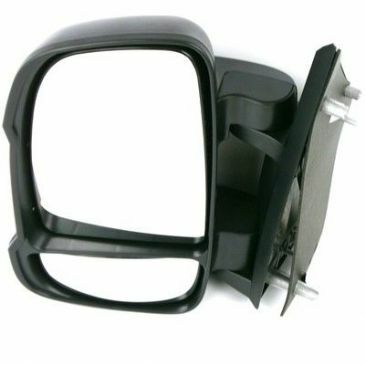 Fiat Ducato, Peugeot Boxer, Citroen Jumper Left Hand (nearside) replacement Short Arm mirror assembly that is manual and complete with indicator (5W). Fiat Ducato, Peugeot Boxer, Citroen Relay, Right Hand (offside) replacement long arm mirror assembly that is electric, heated, complete with integrated temperature sensor and indicator (16W). This is for vehicles from 2006-2014. All of the mirrors that we offer are E marked and come with a standard 1 year warranty. Fiat Ducato, Peugeot Boxer, Citroen Jumper Right Hand (offside) replacement Short Arm mirror assembly that is electric, heated, complete with indicator (5W). This is for vehicles from 2006-2014. All of the mirrors that we offer are E marked and come with a standard 1 year warranty. 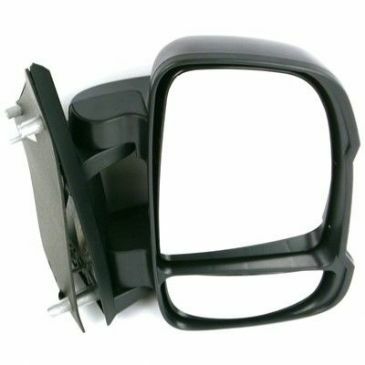 Fiat Ducato, Peugeot Boxer, Citroen Jumper Right Hand (offside) replacement Short Arm mirror assembly that is manual and complete with indicator (5W). This is for vehicles from 2006 onwards. All of the mirrors that we offer are E marked and come with a standard 1 year warranty.